Google Maps is unpredictable. It will be your friend and trustful guide 99 times out of 100, but there’s always one time when it will turn into a trickster and lead you to a dead end or completely out of the way. Showing you the wrong turn one time isn’t a big deal. But what if it turns completely against you and stops showing directions altogether? That’s not something you want, especially if you’re in a foreign city or unknown surroundings. Luckily, there’s a solution in case Google Maps stops showing directions. So, don’t panic. Instead, check out the following workarounds. Like any other Google app, Google Maps is tightly connected to the Google Play services. So, if the services aren’t functioning properly, you won’t be able to use Google Maps to the fullest, with most features out of order. In this case, the directions. Locate Google Play Services in the Apps Manager (if you can’t find it, choose Show all apps or Show system services from additional settings). Tap Google Play Services and choose Clear data. Wait for the process to finish, and sign in to the Play Store once again. I know you hate when you see clearing the cache as one of the offered solutions, but it works. Sometimes. Anyway, it won’t hurt if you try clearing the cache. You can either resolve the problem or stay where you are. Go to Settings > Apps Manager (as explained above). Find Google Maps and tap it. If clearing the cache doesn’t resolve the problem, you can also try with clearing data altogether. 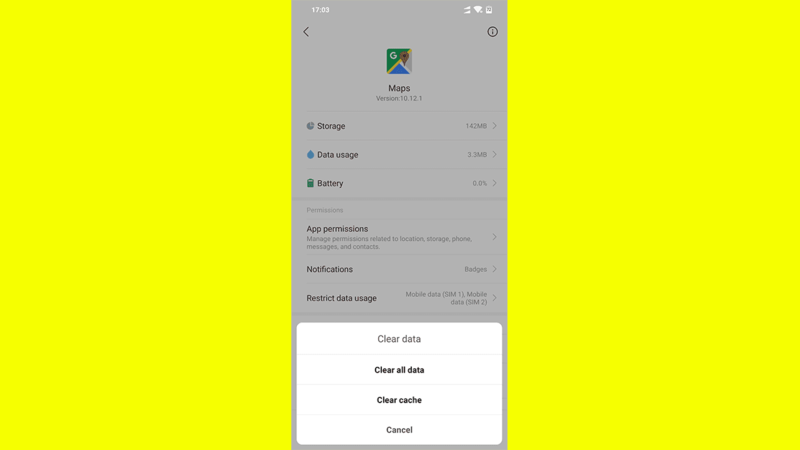 However, keep in mind that deleting all data will erase all your offline maps, so only do this if you have internet access. Here’s a quick one. The Location service needs to be running for Google Maps to draw directions from the server. So, go on and make sure the Location service or GPS is enabled. You can easily enable this service by tapping its shortcut in the top settings panel. Unless you’re navigating an offline map, Google Maps won’t work without a stable internet connection. So, just make sure you’re properly connected to the internet before moving on to another solution. In case you notice there’s something wrong with your internet connection, check out this article for additional solutions. Google Maps will almost exclusively point you in the wrong direction if the compass isn’t calibrated properly. So, if none of the above-mentioned solutions resolved the problem, make sure to calibrate or re-calibrate the compass. 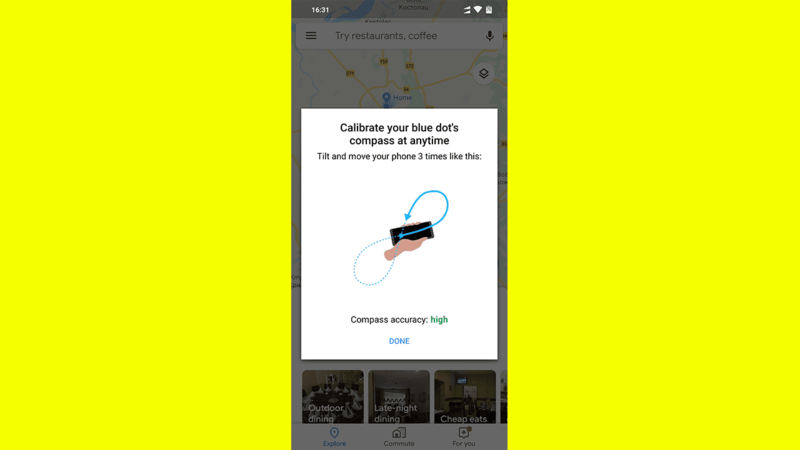 Tap the blue dot that indicates your location. Follow the on-screen instructions (make a figure 8 with your phone). Go to Mode, and enable High Accuracy. To avoid connection problems in the first place, you can always download the offline maps of the area you’re navigating. Having offline maps requires neither GPS nor internet connection, so it’s a perfect solution for roaming foreign cities, where you have limited internet availability. To download the offline map, go to Google Maps > Settings > Offline maps. Select the area you want to download and you’re good to go. Just keep in mind that offline maps are quite limited compared to ‘regular’ maps. For instance, you’ll only be getting driving directions instead of walking or cycling, and you won’t have traffic info, alternate routes, or lane guidance. That’s about it. I hope at least one of these solutions helped you resolve the problem with Google Maps not showing directions, and that you don’t feel like you’re in a maze anymore. If you have any comments or additional questions, write them down in the comments below.